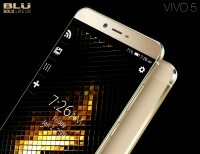 US-based smartphone maker BLU used CES 2016 to announce its latest phones - the BLU Vivo 5 and Vivo XL. 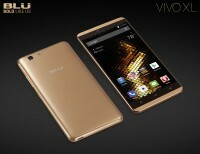 Both feature 5.5" Super AMOLED screens, MediaTek chipsets with octa-core CPU and metal unibody design. 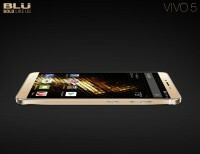 The BLU Vivo 5 comes with a 5.5" Super AMOLED screen of 720p resolution resulting in a pixel density of 267 ppi. Inside the metal unibody, there's a MediaTek 6753 chipset with a 1.3GHz Cortex-A53 octa-core CPU, 3GB of RAM and 32GB of storage. At the back of the Vivo 5, there's a 13MP camera coupled with a 5MP snapper at the front. The battery is 3,150mAh and the phone runs Android 5.1 Lollipop. Capable of LTE connectivity, the Vivo 5 also has dual-SIM card slots. Expect the phone to be available next month on Amazon and BestBuy for $199. Available colors are White-Silver and Solid Gold. Despite what the phone's name suggests, the Vivo XL features the same 720p 5.5" Super AMOLED display and chipset, but it has slightly downgraded memory specifications. RAM is down to 2GB, while the internal storage of 16GB supports expansion via microSD card slot. There's a slight difference in terms of the build, as the Vivo XL features a glossy finish complete with a subtle pattern at the back. 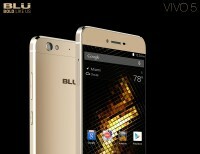 The BLU Vivo XL will cost $149 and its sales start some time this month on Amazon and BestBuy. Color options include Liquid Gold, Chrome Silver, Midnight Blue and Rose Gold. 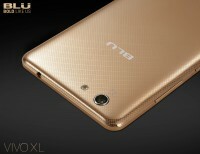 Because, based on the article, it has less RAM and base storage, this is more of a "Lite" version of the phone. Even though its name suggests it would be, perhaps, biggers. When will this be for sale? I specs are better then Honor 5x for the same price.